GVSC is finally going to Be There... The Fair! You guys voted for more special events and festivals and we are bringing that to you to wrap up our Winter Programming calendar. 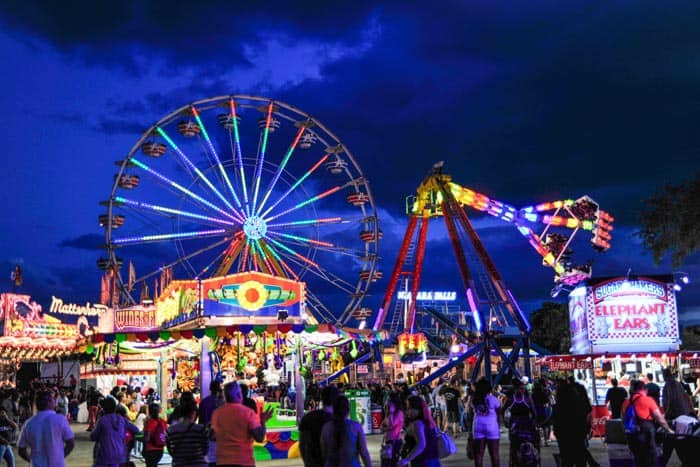 Get ready for our first GVSC Night Out as we venture off to the other side of the city as we enjoy the Miami-Dade County Fair and Exposition during out latest outing: GVSC Night Out at The Fair! We will taking on the Fairgrounds, and its over 66 years of delighting visitors, in full force as we experience all of the fun rides and attractions, taste all the great food, and play some of the best games around. We'll browse through the Expo Halls as we witness some of the latest exhibitions and demonstrations. Plus, we'll have the choice to take in a big top circus performance or thrilling music concert. Come take on the night with us and let your inner kid shine through! If you plan on attending this group event, please RSVP on Eventbrite so we have a headcount as to who will be joining us. Gate Admission and Unlimited Ride Tickets are to be purchased individually on the Fair Website listed below. Gate Admission is $14, Unlimited Rides are $28. Please RSVP is plan on attending the event so we know how much to expect for our group.